The Texas Theatre will present a special one-time screening of the documentary Burn at 7:30pm, Wednesday, November 28, with filmmakers in attendance. 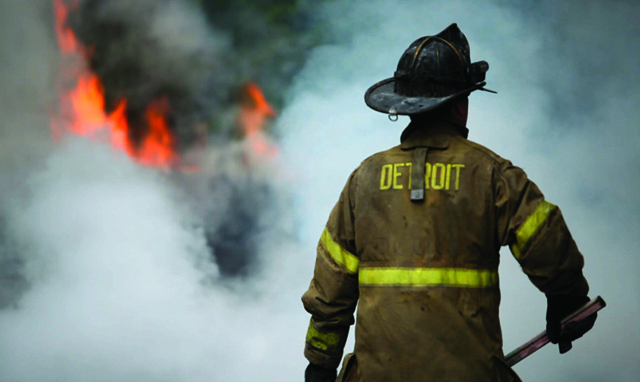 Executive produced by Denis Leary, the former star of Rescue Me with deep ties to the first responder community, the film records a harrowing year with members of the Detroit Fire Department as they struggle with fighting fires in one of the most arson-plagued cities in the country, dealing with the danger of the job outside the firehouse and budget cuts and other strife within. “The importance of the film speaks for itself as it documents heroes in the Detroit Fire Department who are determined to save a city that’s burning itself to the ground,” says V.P. Adam Donaghey of Aviation Cinemas, which manages the theater. The film is not yet fully funded for release. Once it is completed and put into distribution, proceeds from the wide release will go to the Leary Firefighters Foundation to purchase gear for Detroit firefighters. Producers/directors Tom Putnam and Brenna Sanchez and firefighters Dave Parnell and Brendan “Doogie” Milewski, both of whom are featured in Burn, will be present for a Q&A session immediately after the screening. For more info about the screening, visit http://thetexastheatre.com/movies-events/burn; for more about the movie, go to http://detroitfirefilm.org.